Seaside elegance! 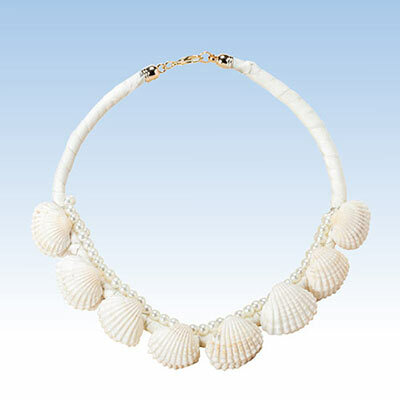 Natural shells create a unique focal point on this beach-inspired handcrafted Goddess Seashell Necklace. White cording accented with a double row of faux pearls. The perfect summertime accessory! 16"l.